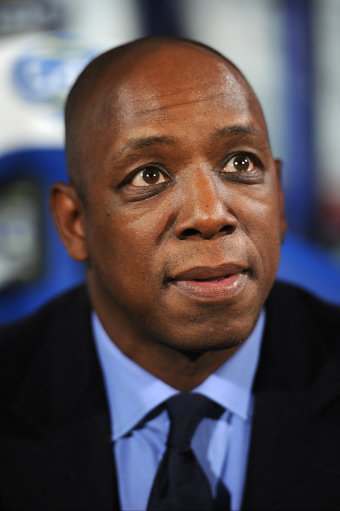 IAN Wright adds his tuppence worth of views (the Sun pays him a lot more than that? – Ed) on Arsenal’s 1-0 defeat to Manchester United. No team who win at Borussia Dortmund and lead the Premier League by two points at the end of Remembrance Sunday can be placed in a coconut shy for losing to a majestic Robin van Persie header at Manchester United. To dismiss the Arsenal revival after such an explainable setback would be intellectual vandalism. United have proved time and again that this time of the season is all about accumula-ting points, however you get them. And in many cases, that’s down to scrapping for your lives and making sure that if you don’t win the game, at least you don’t lose it. Yep, Ian. The most points wins. Got it. Thanks. Learning curves don’t come much steeper than the one Arsenal got on Sunday — and it’s a lesson they must learn from quickly. I realise I have to calm down a little on my hopes and expectations. What do you expect, Ian? A lot of Arsenal players haven’t really been in too many genuine pressure situations before and it’s something they are going to have to handle…it’s an issue they need to get to grips with sharpish. It’s a similar story with Manchester City…because another poor away defeat — their fourth — has exposed flaws there as well. So, Arsenal – packed with internationals and managed by 64-years-old Arsene Wenger – and Man City, who won the league title on the last day of the season and are managed by former Real Madrid coach Manuel Luis Pellegrini Ripamonti – can’t handle pressure? City may have the most expensive and glamorous squad. But they’ve got to realise when they go to the likes of Cardiff, Sunderland and Villa that those fans will be right up for it, making loads of noise, with the players desperate to rattle the big names. Do you think they know that? How does Wright think you become a footballer at a top club, by accident? You don’t work your socks off? You don’t scrap it out and dedicate yourself to the game? The quality is in no doubt, but all those big names have to realise fixtures like Sunderland aren’t going to be easy… Of course it’s important to win the big games but you win the Premier League by scrapping it out in the muck or nettles matches.Ones when it’s not pretty, it’s not eye-catching but it’s about heart, desire and determination. Ones where you nick a 1-0 win without being at your best, get the points and get back on the bus. If it stays as tight as this, the experience of handling the heat will be vital. And no one has it more than United. No? Not Wenger and Pelligrini but Moyes has the experience of winning titles in Wright’s world. That’s why Sunday showed Arsenal and City still have work to do in that department. They’re going to have to learn quickly otherwise they will end up empty-handed come next May. To recap: David Moyes has never managed a team that has won the league.